It’s that time of the year again, budget season. With the end of 2018 fast approaching, your team is rapidly closing out IT projects and initiatives and looking forward to 2019. Planning for the year ahead gives your organization the strategic vision to accomplish its business goals, forgetting the following key spending areas could negatively affect your bottom line come December 2019. Here are our “Top 3 Things to Include in Your IT Budget” for 2019. End of service announcements are often the most overlooked when evaluating IT spend for the upcoming year. Having unsupported systems means your organization runs the risk of a potential system failure or security breach. Properly tracking the assets in your IT environment allow you to recognize when products and services reach the end of their support cycles. By monitoring your asset life cycles you’ll know well in advance which technologies need to be upgraded. Accounting for these costs in the budget now saves you the headache of trying to find budget mid-year after realizing support for your server ends in September. Don’t let EOS notices sneak up on your organization. Stay up-to-date with product lifecycles here. Increase the reach of your IT budget with Managed Services. It’s difficult to employ all the expertise you need in-house. Organizations with find great value in employing the expertise of many for the cost of one individual. Managed Services also frees up time and resources for your IT team, allowing them to implement more strategic and impactful initiatives. Whether your internal team is large or small, with a steady monthly cost, Managed Services is a budget-friendly way to ensure your systems are up-to-date and monitored 24x7. Similar to tracing the EOS cycles on the assets within your environment, tracking maintenance contracts and expiration dates can also keep unexpected expenses at bay. Most maintenance runs on a 1-3 year cycle. Many organizations set it and forget it until they receive the renewal notice. The “set it and forget it” mentality can lead to unexpected maintenance fees come renewal time. Working with a technology partner to track and maintain your maintenance records will help forecast maintenance expenses for 2019. Sometimes the cost of renewing maintenance on a system outweighs the costs and benefits of purchasing new hardware. Performing a cost/benefit analysis when creating the budget will ensure enough money is set aside for whichever option is selected. Working with a partner is an effective way to manage the contracts and expiration dates of your environment. A technology partner can notify you of any expiring maintenance contracts and assist in determining when it’s best to purchase new infrastructure vs. renewing the contract. Bottom line, no one likes surprise expenses. Unexpected charges or changes to your plan mid-year can derail important projects. 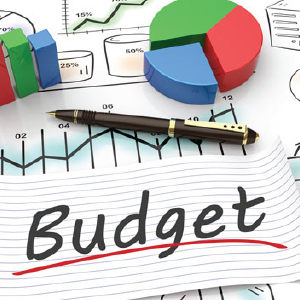 Keep your strategy for 2019 on track by remembering these items when planning your budget. Putting together your budget and want to know more? Contact us today to discuss your plans for 2019 and learn more about the costs associated with upcoming EOS notices, Managed Services, or maintenance contracts.